Impressive landscapes. Entanglements of nature and culture. The end of the road. This was the name of the symposium that ended the research project that I was involved in beginning in 2009. The symposium reflected the contents and the atmosphere of the project in an excellent way and I was very happy to be able to present my contribution to the project as well. The presentations were done pecha kucha style, to keep them short but also visually rich. Since the material that I collected for my research has great visual strength, this format suited me so well that I decided to make a recording and put the presentation online. I hope you enjoy it! Ende der vergangenen Woche habe ich an der 8. Tagung der Neuen Kulturgeographie teilgenommen. Auch wenn ich als disziplinärer Außenseiter etwas den Eindruck hatte, dass die Neue Kulturgeographie den Label neu vielleicht ablegen könnte, so heißt das jedenfalls nicht, dass die Tagung nicht allerlei interessante Perspektiven geboten hätte. Ich jedenfalls habe in jeder Sitzung, an der ich teilgenommen habe, mindestens einen spannenden Vortrag gehört, was mir gar keine schlechte Ausbeute zu sein scheint. Insbesondere bin ich dafür dankbar, dass ich – ohne dort wirklich Leute zu kennen – schnell Anschluss gefunden habe und freundlich aufgenommen worden bin. Ein paar Gesichter kannte ich zwar schon über die Konferenzen der Royal Geographical Society, aber so groß ist die Überlappung mit der britischen Geografie-Szene anscheinend nicht. Besondere Freude hat mir die Einladung zur Teilnahme an der von Martin Müller geleiteten Sitzung bereitet. Unter dem Titel Mittendrin statt nur dabei: Ethnographie als Methodologie für die Neue Kulturgeographie gab es vier verschiedene Präsentationen zum Themenfeld Ethnografie, die sich untereinander hervorragend ergänzt haben. Ich konnte mich in meinem Vortrag unter dem Titel Aufmerksam werden… Zur phänomenologischen Auseinandersetzung mit Dingen, Anderen und sich selbst mit der Rolle der Phänomenologie in meinem ethnografischen Arbeiten auseinandersetzen und dabei weiter über die Möglichkeiten reflektieren, die das Arbeiten mit Videoaufzeichnungen mit sich bringt. Auch die Diskussion in der Sitzung war sehr angenehm und produktiv. Leider allerdings habe ich es dieses Mal verpasst, einen Mitschnitt von meiner Präsentation zu machen, beziehungsweise ich habe den Mitschnitt aus Versehen gelöscht… Deswegen kann ich jetzt leider nur die Folien ohne meinen Vortrag als QuickTime Film zur Verfügung stellen. Der Film spielt sich nicht von alleine ab, man muss sich von einem Präsentationschritt zum nächsten klicken – was allerdings auch den Vorteil hat, dass man die Sache in seinem eigenen Tempo verfolgen kann. Hier also die Filmdatei im .mov Format: Aufmerksam werden… [27 MB]. Frers Productions is proud to present: Perception, Aesthetics and Envelopment a video recording and the outline of my talk at our post-graduate college’s concluding conference. 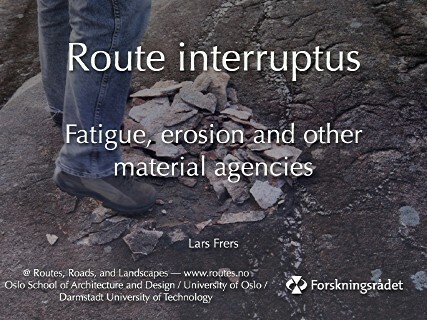 Thanks to Lars Meier for recording it – and of course for co-hosting the session, thanks to the rest of the grandiose organization team of the conference and thanks of course to the other participants of the Larses’ panel Urban Spaces and Private Quarters for a good and constructive discussion. I was made aware of a two people who developed similar ideas to the concept of envelopment: Georg Simmel (could have thought of that myself, since I read and even lectured about the relevant essay on Die Großstädte und das Geistesleben several times. The other hint was on the term personal bubbles which seems to be used quite frequently in the anglo-american world – I am still looking for more info on this term, but it seems that it carries some different connotations. Furthermore, I don’t think of the envelope as something that can burst or pop like a bubble. It is more like a field or sphere or a ball of cotton. Nonetheless, good to know about it. Another idea came back to me later: Richard Sennett, of course, has also talked about a sphere of comfort that is produced in city of today in the book that still has the most pivotal influence on my current work: Flesh and Stone. Back to the title: I have embedded the video into the new page using valid XHTML code without any fiddling & CSS tricksing. That means that the embedded video won’t be displayed in all browsers though. I would be very happy to hear about the cases where it does / doesn’t work – please write a comment (if you have been a lurker until today: you can write a comment by clicking on the ‘x notes’ link below) and tell me about it. In case the embedded stuff does not work, one can just download the .mp4 file and then play it. I would like to hear about the minimum requirements for playing this, too (for example, I have no idea what version of Windows Media Player is required for playing this file).